Are you interested in “giving back” to your community, or getting involved in worthwhile charitable and volunteer activities? 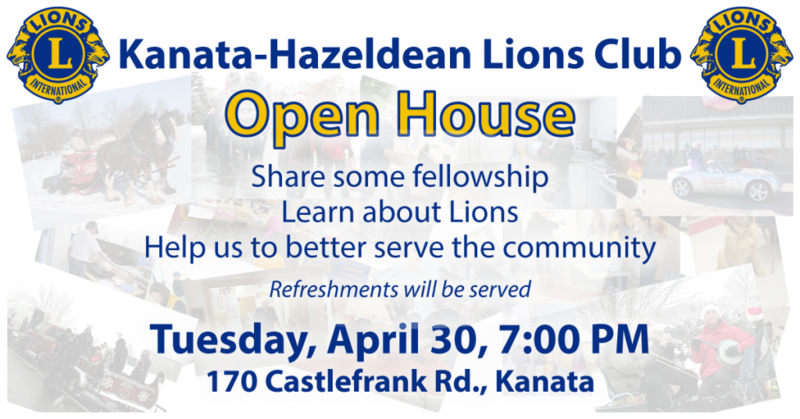 Come to the KHLC open house on April 30, and learn what the Lions Club does for our community, and how you could help. If you are interested in supporting our efforts, we would be pleased to welcome you as a member. No need to pre-register, just come, have a coffee, and meet your neighbours.